It's still winter. I'm still freezing my kishkes off and it's not a pretty sight. There's day after day of grey skies, lots of craptacular stuff in the news, and simply an unending source of vomit-inducing leftist shenanigans to bring to your attention (you're welcome). If you're like me, stories about the crazy and belligerent political left, and it's torrid love affair with radical Islam can sometimes get you down. I know it gets you down because you send me e-mails, and I try my best to steer you on the right path: GIRD YER LOINS because it's going to be a very bumpy ride for a very long time. Everyone has their own recipe for lifting spirits and ultimately, this is a task that can only be accomplished on one's own. But it never hurts, and in fact it always helps to support friends and family members, and like-minded travellers as they face down their demons and fight their battles. Here are some of the most important things and the things you can control. They may seem small, but it's the small things that are the big things. First of all, don't be afraid. Trust in G-d. Speak freely. Tell jokes. Raise your children well, hug them. 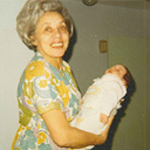 Tell people you love them now, because you never know. Laugh. Don't censor yourself. Do good things. Fight back. And don't let the horrible, joy-killing left and it's grotesque allies live in your head rent-free. On that note, I'd like to make a pitch for something that you can do right now to raise morale, fight back, and end up Feline Groovy all in the same way. 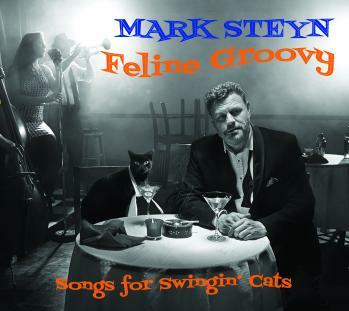 If you haven't already, please be sure to order a copy of Mark Steyn's delightful Feline Groovy album. It's cheery and fun, and as if it wasn't enough to be the best English language writer alive today, and part-time prophet (PBUH), Steyn's actually quite an elegant crooner and the musical arrangements and musicians are top-notch. Most importantly you will be supporting Mark Steyn with one of his biggest fights yet and he needs help to win. Not all of us can fight the big battles, the risks are (understandably) not being shared equally among us. But anyone amongst us that cheers on the fighters getting their hands dirty on a daily basis, can make a big difference with a very simple gesture. Go on-get out of here! P.S: Valentines Day is coming up! HINT HINT.